Enjoy an intimate setting with the Exchange’s monthly Listening Room. 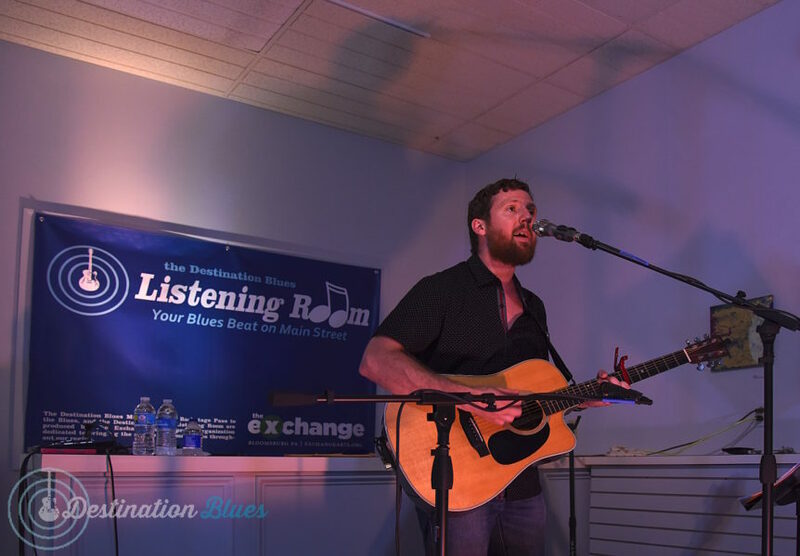 One of the hidden gems in the area if you love Blues and Folk music like I do is The Listening Room that happens every month at The Exchange in Bloomsburg. Housed in a small storefront on Main Street in Bloomsburg, The Exchange is dedicated to bringing the arts to all people in communities throughout the region. 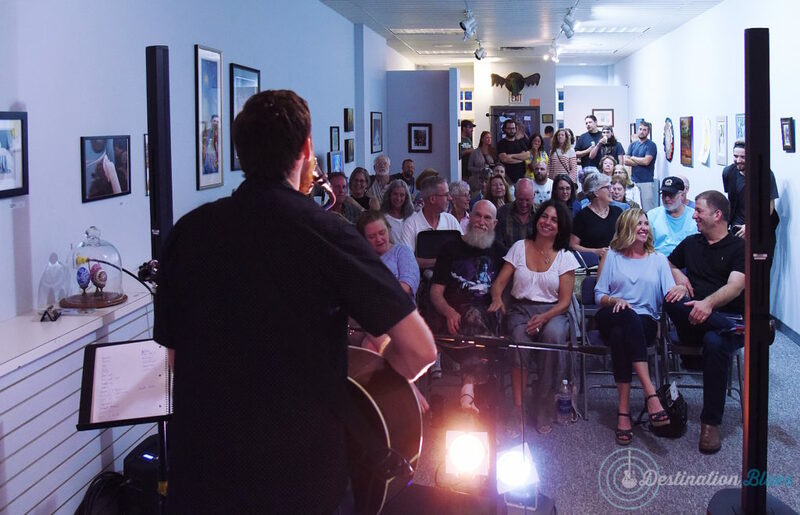 The Listening Room – part of its Destination Blues program – happens on the last Wednesday of every month, from 7 to 9 p.m. In a small room with great acoustics, you not only can hear outstanding performances by a variety of artists, but there’s an interaction between performer and listeners that just doesn’t happen when you’re in a larger concert venue or at a bar or restaurant. The performers know you’re there for the music, not just background entertainment, and their performances reflect that. And, you can hear the great music for only a $5 donation at the door. It’s a BYOB place, too, that features a range of acts – solo artists and small bands, acoustic and electric from throughout the region. 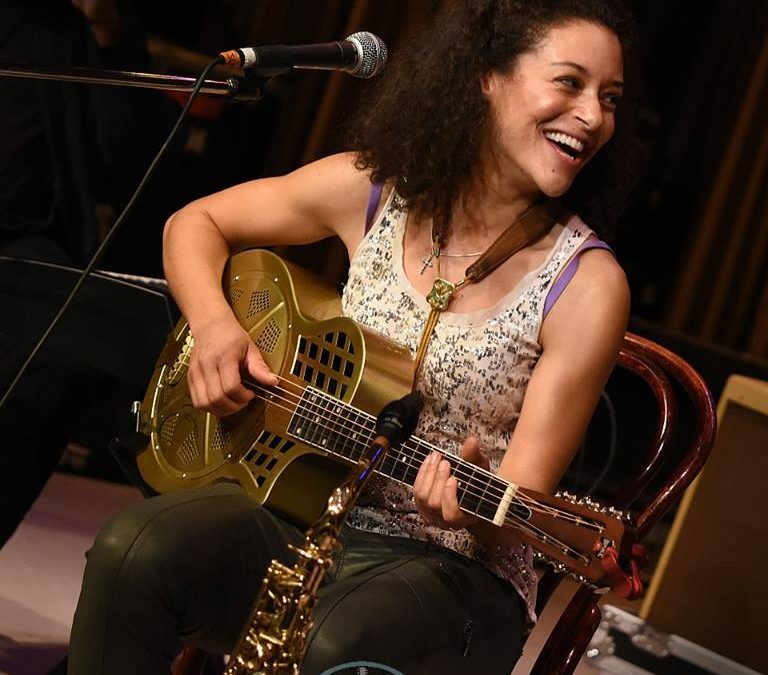 In February, award-winning saxaphonist, singer and songwriter Vanessa Collier, a rising star in the blues world, who you may have heard at the Briggs Farm Blues Festival, performed at The Listening Room. Then in March it was singer, songwriter and guitar player Tom Graham from Scranton. This month’s performance on April 24 at 7 p.m. will be BC Combo from the Lehigh Valley, with lead singer Bev Conklin – BC, Wayne Smith on guitar and vocals, Pozz on vocals, keys or bass, Kevin Groller on drums and Joe Mac on guitar. Performing for 25 years, their motto is: “It’s all about having fun!” So, come out and join the fun! But The Exchange is more than just The Listening Room. Started in 2010 in the old Moose building in Bloomsburg, The Exchange provided space for a dozen artists and small businesses to lease as well as a concert venue and even a bowling alley. But a fire that gutted the building in mid-January 2014 ended that. Later that year, The Exchange moved to its current location at 24 East Main Street, and began its new life as an art gallery and music venue. Be sure to visit and check out one of my favorite pieces in the “Art on the Spectrum” gallery show — a small black and white drawing of a panda. So simple, but so compelling! Next up in the gallery will be “Wearable Art II” featuring art made with anything from earrings to ballgowns. That show runs from April 22 to May 31 with a reception from 6-8 p.m. on Saturday, April 27 (same day as Renaissance Jamboree). ​After that on the gallery calendar is “Mistakes” June 1 through July 5 with a reception from 6-8 p.m., Saturday, June 1. In that show you will see that mistakes open new doors. The Art Cart brings joy across the region. As if the gallery and the music events weren’t enough, The Exchange also reaches out into the community with its Art Cart. The Art Cart, which reaches about 8,000 people in the area each year, visits up to 12 venues a week, including day care centers, senior centers, camps and libraries. Two facilitators bring projects for participants to make in many media, including painting and drawing, cut-out paper, and sculpture. They tailor the projects to any age group and any size group. You may have seen the Art Cart if you’ve visited ArtFest in downtown Bloomsburg. The annual event takes place in August. In 2019 it will be the 12th year for ArtFest, which will be happening August 24. Provided free of charge, the Art Cart is funded by a variety of community groups, including the Berwick Health and Wellness Fund of the Central Susquehanna Community Foundation, the Danville Area Community Foundation, the Charles B. Degenstein Foundation, the United Way of Columbia and Montour County, PPL Foundation, the Bemis Foundation, the Bloomsburg Area Community Foundation and many local donors. 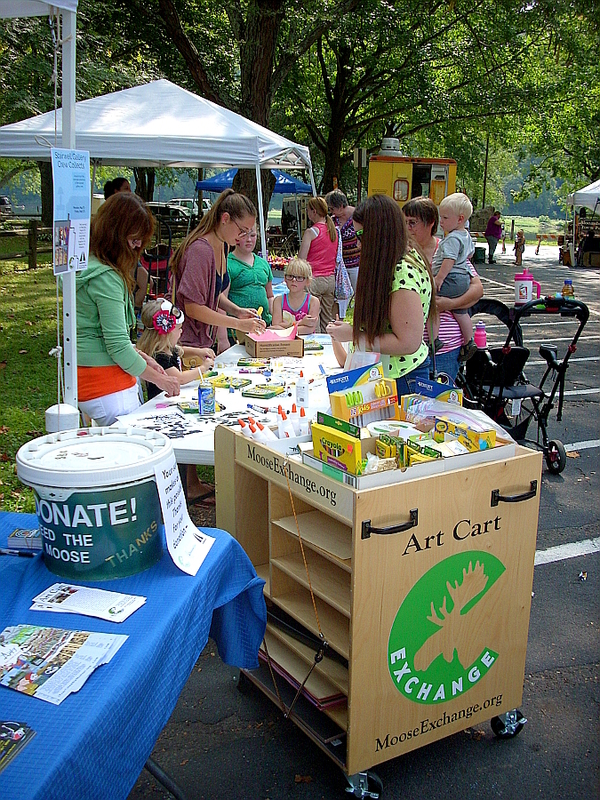 If you would like the Art Cart to visit your group, call The Exchange at 570-317-2596. 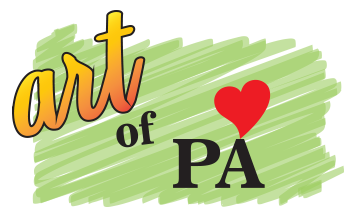 Another project of The Exchange is the Art of PA website, an arts and culture resource serving the communities of Bloomsburg, Berwick and Danville. It provides one place where you can find information about everything in Columbia and Montour counties from theater shows to music events to art shows to restaurants to visit when you’re done with whatever event you’re at.